Teen anxiety is on the rise, and it’s not surprising. Think about your teens are dealing with today. They have crushing academic schedules crammed with honors and AP classes that result in hours of homework for them each night. Sports teams are more demanding than ever and most student athletes play not only on school teams, but also on club teams. And no matter if your teen’s thing is sports or theater or music, that’s not enough, they have to make sure they are well rounded and participate in other extra-curricular activities as well. Then of course there is all the volunteer work teens have to do today. Most high schools require a minimum number of volunteer hours per semester. Additionally, there is evidence that our teens constantly plugged in lives leave them sleep deprived, while social media feeds their adolescent insecurities and worries. As if all this wasn’t enough, some teens experience major anxiety during this stage of life due to hormonal changes, puberty and added pressure from peers as well as school. You know too well if you have teens that they are just naturally prone to mood swings and some bizarre behavior. Part of that is just being a teenager. So, how can you tell if it is something more and your teen is experiencing real anxiety symptoms. This is not an exhaustive list and overall, you should be concerned if you see you’re teen exhibiting any behaviors that are significantly outside the norm for them. 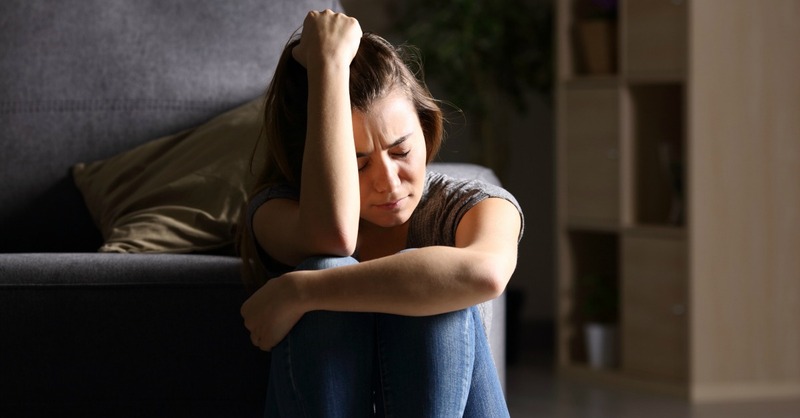 Teen anxiety can be very serious and if you find that it is interfering in a noticeable way with your teen’s daily functioning it would be wise to seek help from a licensed mental health practitioner. But anxiety can also just be a normal part of life, everyone has anxiety from time time. Your teen may simply need to learn coping skills to manage their stress and you can help by providing guidance, support and reassurance. Here’s how to do that. Without a doubt, today’s tech is definitely contributing to today’s teen anxiety levels. To what extent, no one is quite sure and every kid is different. But the one area that tech seems to be having the most negative influence on teens is their sleep habits. Your teen needs between 8-10 hours of sleep a night. Less than that and they start racking up a sleep deficit that over time reduces their normal coping abilities and increases adrenaline which intensifies feelings of anxiety. At a minimum, teens should be required to disconnect by a set-time each night and should not be keeping phones and other devices in their rooms. Do they use it as their alarm clock – that’s a quick fix. You can pick up cheap ones for under $15 at just about any big box store. If there really is no way to avoid the tech in their rooms, than use parental control apps out there like Circle with Disney that can shut down devices during certain hours that you set. Beyond the role that take plays, evaluate if there are other things keeping your teens up at night. Are they up late doing their homework night after night? Maybe it’s time to evaluate their commitments and make some priorities or perhaps they can drop a class and add a study hall. Your anxious teen is fearful of things that they weren’t fearful of before. They have worries that make no sense to them or you. Sometimes they can bust out into tears over the littlest of things, or even nothing at all. This can be a difficult time for a parent who feels like their watching their teen fall apart. But there is no fast fix for anxiety. It requires time and patience and understanding. You want your teen to share how they are feeling with you and to trust you with these confusing emotions. Sometimes they just need to be able to work through their anxiety by talking about it out loud and getting all those thoughts spinning in their head out in the open. Instead of trying to figure everything out or getting frustrated, just listen. Hear what your teen is saying during their anxious moments and acknowledge that their struggles are real. They also need to know that they’re okay and that you’re not disappointed or angry with them. Reassure them that worry is a normal part of life and you’re here to help them work through it. No mindfulness is not some hippity dippity new agey voodoo. Mindfulness for teens, along and its close cousin mediation, can actually change brain chemistry in extremely positive ways. They are becoming a very mainstream way to treat anxiety and multiple studies have now shown that mindfulness can significantly reduce anxiety symptoms. 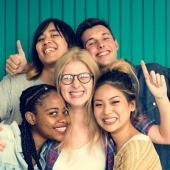 Practicing mindfulness is a way for teens to learn to stay present in the moment and to keep thoughts from running away from them. It also can help them control the physical reactions that anxious thoughts can provoke. HeadSpace – The found of this app has a great TED TALK to that would be worth watching and might encourage a little more buy in from your teen. As much as you might be tempted to rush in and save the day for your children, when it comes to teen anxiety, it’s better if you take backseat or perhaps the passenger side seat during the process. If we step in and take over when they start to feel uncomfortable or anxious, we don’t give them the opportunity to learn how to navigate these challenges on their own and they’ll continue to feel powerless. We can coach them and help them rehearse how their going to handle certain situations. If they’re feeling overwhelmed, we can discuss priorities with them and assist them in making a plan, but we need to let them take lead. Once they see that they are equipped to deal with their anxiety on their own, it will help them build self-confidence and the resilience needed for future battles. Speaking of dropping some activities. It’s not a bad idea if you’re doing it because they just have way too much on their plates. But be careful about letting your teen drop-out of activities because they are causing them extra stress and anxiety. Avoidance is not coping. If your teen has a manageable schedule, then encourage him/her to stay focused on activities that they used to enjoy. Work with them to try and identify what has changed and where the source of the anxiety is coming from and then let them figure out how to get through it. A little tough love is okay in this instance. Not allowing them to pull out of all social activities will help them face their anxiety without feeling completely overwhelmed. Many parents want to try to help guide their teens through anxiety, but you just may not be armed with the proper tools or knowledge. Having a therapist that specializes in teen anxiety is a great person to add to your team while helping guide your anxious teen forward in life. A therapist will help your teen better identify the root cause of their anxiety and will teach teach them coping mechanisms as well as evaluate whether medication might be needed. Overall, it’s just important to remember that anxiety isn’t a flaw in your teen’s character and it doesn’t mean that they’re not strong people. Our brains work in very mysterious ways and sometimes it can just be that your teen is wired a little differently.